This statistic gives information on the global wearable device data traffic in 2015 and offers a projection until 2020. 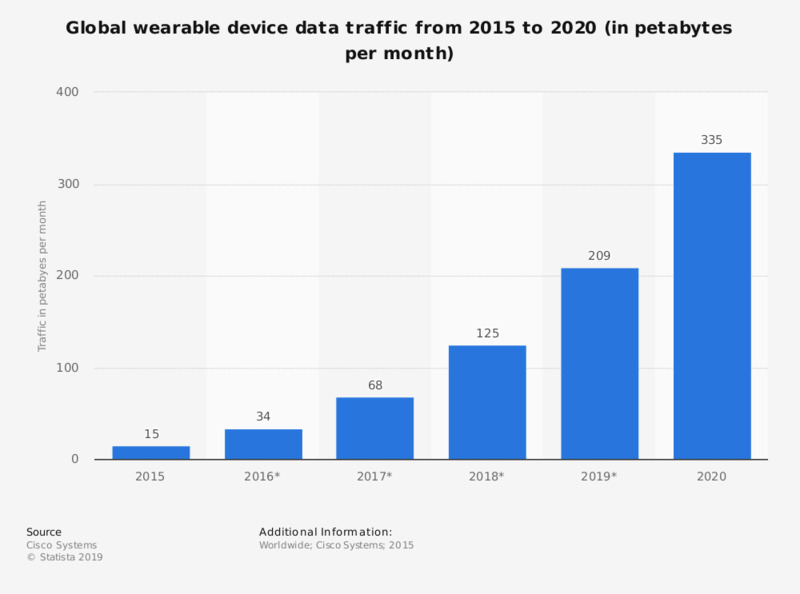 In 2015, global mobile data traffic of wearable devices amounted to 15 petabytes per month and is projected to grow to 335 petabytes per month in 2020. Wearable devices are an important part of the internet of everything and include smart watches, smart glasses, heads-up displays (HUD), health and fitness trackers and wearable scanners and navigation devices. Statistics on "Internet usage in Indonesia"